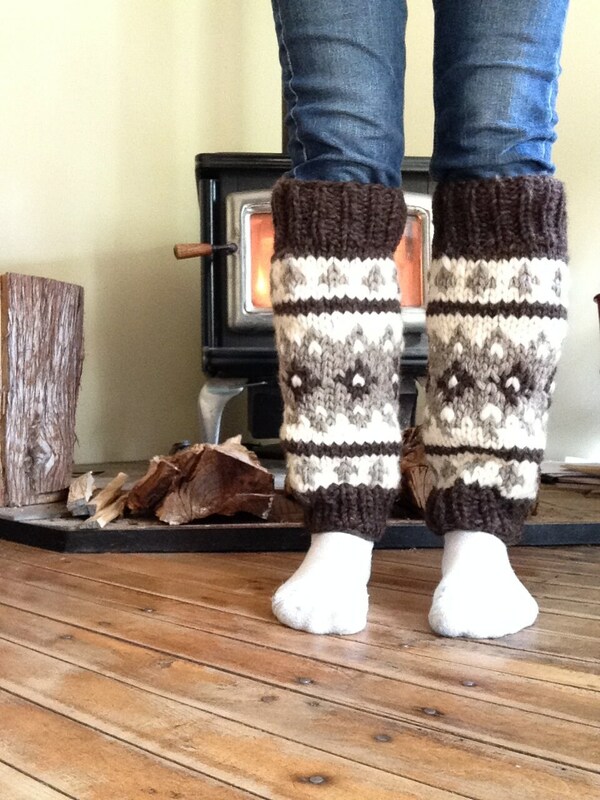 I use 100% pure Canadian wool to create these snuggly leg warmers. 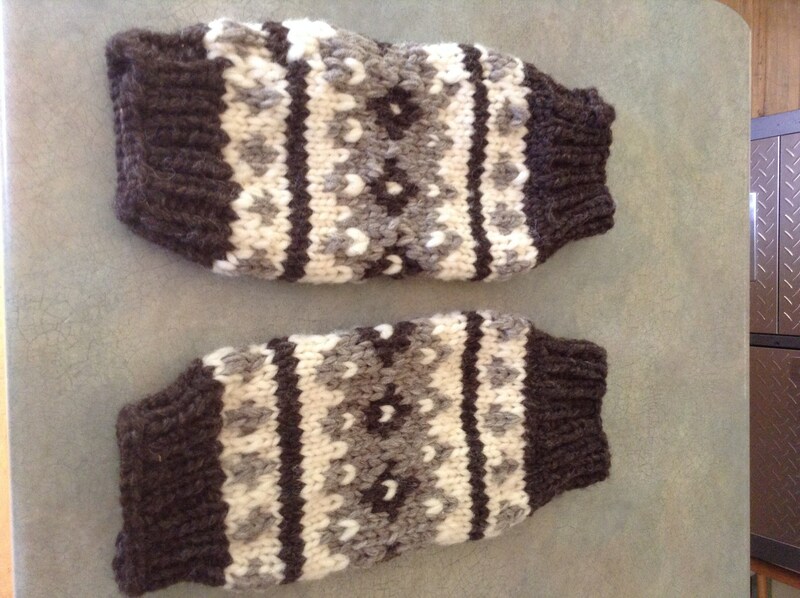 The cream colours are pure, undyed natural wool. Other colours are dyed before spinning. 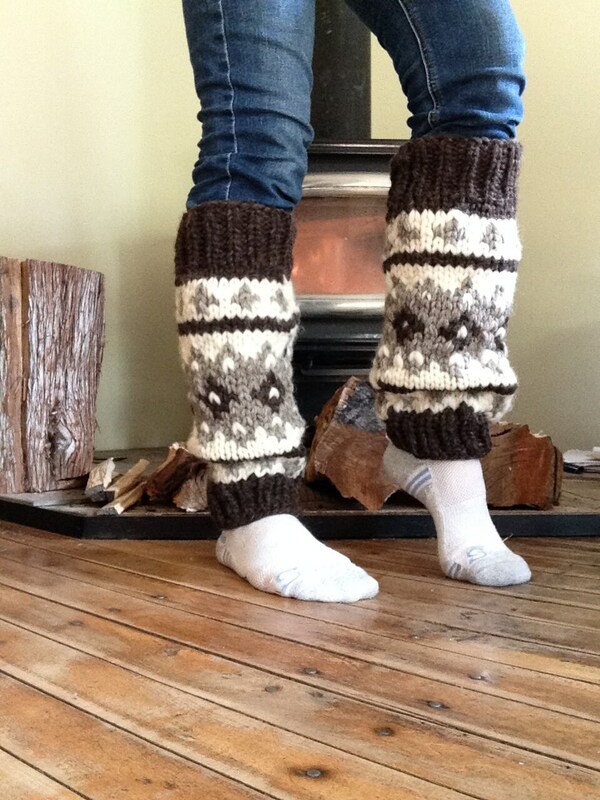 I've then hand knit these lovely, thick leg warmers using a traditional Cowichan style pattern. 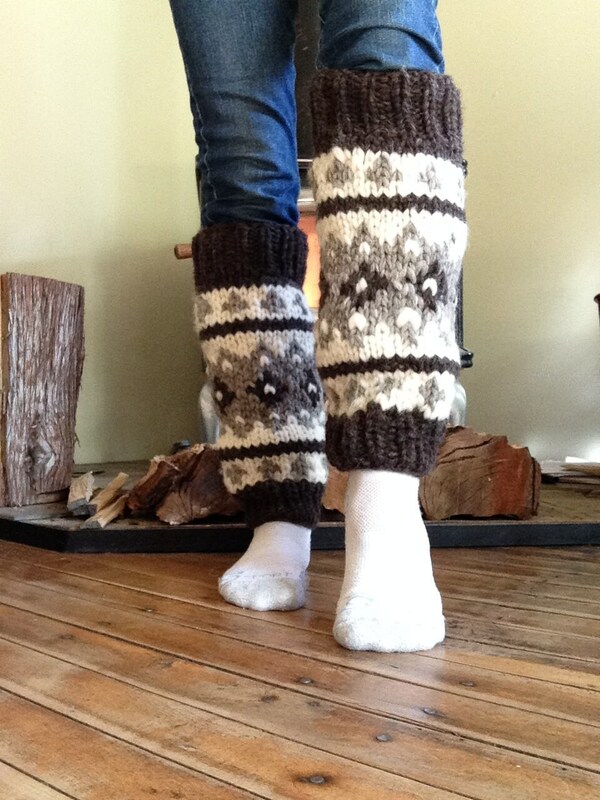 Great for our cold winters to wear over pants or stockings, for skiing, hiking or going to town! Washing instructions are included. Adult size fits most. Length is 15 1/2", lots of room around the calf. 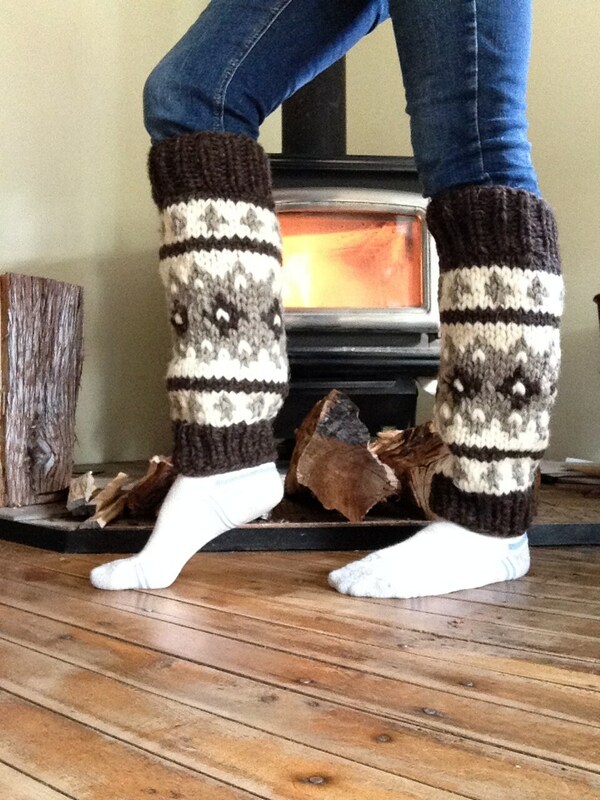 Wider calf is available. 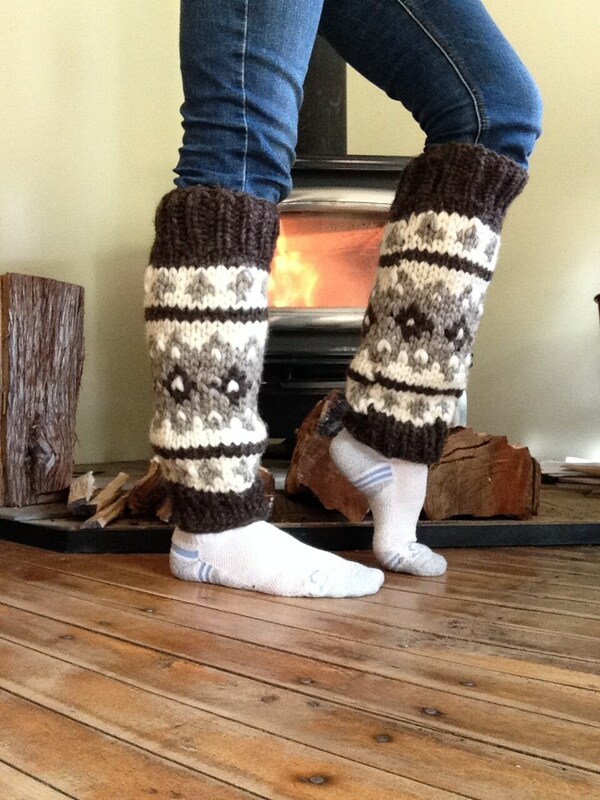 These leg warmers are mainly dark brown and natural off white with some sheeps grey, which is a light greyish brown colour. It compliments the dark brown nicely. I ship our products 5 days a week. Within Canada a tracking number and insurance is on most shipping. It is also available on USA orders. Most orders will be received within 1 week of being shipped, if not earlier, depending on your location. All items are securely packaged and insured for loss or damage. Shipping that is insured is for loss or damage. If an item is returned, it is done so at the purchasers expense. I do not refund shipping costs. Washing instructions are provided with finished wool products. All preserves are safely sealed and have a shelf life minimum of 1 year. My farm kitchen is regularily inspected and is fully certified by the Ontario Health Unit for food preparation and sale. I also have a valid food safety certificate issued through the Peterborough County Health Unit.